Dr. Todd has extensive experience with science communication, instruction, curriculum design, and community outreach. Erin has taught students of all ages and science backgrounds in face-to-face settings and remotely through video in classrooms, museums, aquariums, and community centres. In late 2017, Erin served as one of two onboard education and outreach officers on the research vessel JOIDES Resolution for International Ocean Discovery Program (IODP) Expedition 372: Creeping Gas Hydrate Slides and Hikurangi LWD. Onboard education and outreach officers communicate the scientific objectives of the IODP expedition, organise and facilitate videoconferences between shore-based audiences such as schools, museums, and community centres, and promote shipboard activities through an expedition blog, social media, and YouTube channel. Learn about the science objectives and life on the JOIDES Resolution here! Check out the videos Erin created during Expedition 372 here! 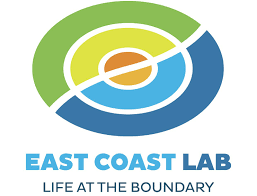 Erin has supported the efforts of East Coast LAB as a blog contributor throughout multiple sea-based scientific expeditions. East Coast LAB brings together scientists, educators, and the general public to promote the exciting research being conducted on the Hikurangi Subduction Zone, New Zealand’s largest fault. In November 2017 Erin participated in a Science Wānanga for year 9-10 students at Ōtākou Marae, Dunedin. Science Wānanga are three day hands-on science experiences for Māori secondary students designed to highlight STEM careers and illustrate the many intersections between science and matauranga Māori. The overarching theme for this Wānanga was that all components of the world we live in are interconnected and must remain healthy in order for us all to flourish. Individual projects included: bioarchaeology, sea lion science, ecology and physics. Erin independently redesigned a pre-existing Earth Science course called Earthquakes at the University of California Santa Cruz as a hybrid-online course using Canvas learning management system This involved advising an undergraduate student for their thesis in digital geology education and guiding them as they created new online homework assignments based on current research and in-class exercises specially designed for the course. Erin taught the hybrid-online version of Earthquakes to ~90 students in 2015 after having taught the original face-to-face version in 2014. Erin worked as a team to design and develop course material for a new fully online geology course focused on U.S. national parks from 2014-2015. Throughout much of the project, Erin served as leader, organiser, and primary contact for the faculty and instructional designers. They created numerous original assignments geared for instruction in an online environment and developed the framework and workflow of the course. Erin also created numerous instructional videos and infographics to supplement course material. The first course offering was online across all 9 University of California institutions and Erin served as head teaching assistant, teaching other teaching assistants from three universities how to successfully assist with and run a multi-campus fully online class. Erin also helped design and offer a more condensed version of the course for single campus and summer term offerings.